My last attempt at nail wraps (using Rebel Nails) wasn’t exactly a fail but I really struggled with how they felt on my nails… continuously ‘catching’ them on things despite careful filing and I wondered if these wraps from Nail Rock would be any different! Check out the cute polka dots! 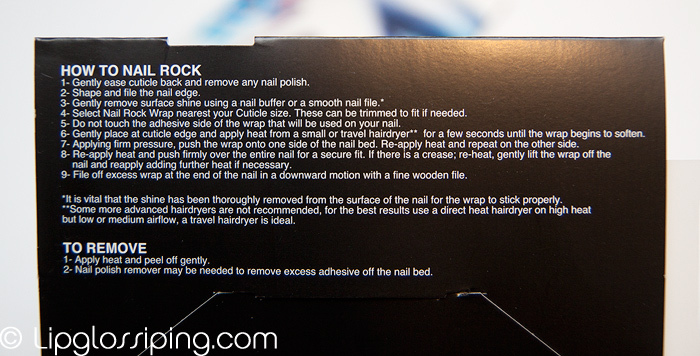 The first thing I noticed is that these are much thicker than the Rebel Nails wraps which are more foil-like. These feel more like vinyl stickers! Initially, I thought it was a bad thing… until it came to application. The Nail Rock wraps were much easier to apply than Rebel Nails and less prone to random creasing. This meant that they simply looked more professionally applied once I’d finished. I still had to trim each ‘nail’ down by a substantial amount to make them fit my narrow nail beds but this wasn’t really a problem. Due to the thickness of the wraps, I found them a little trickier to ‘warm up’ with my hairdryer… it just seemed to take longer to get the heat to have much effect on the adhesive and I risked scorching my fingertips a few times. Once on and filed, well they looked pretty amazing (even if I do say so myself!). Nail Wraps clearly aren’t for me or my lifestyle. Despite careful filing to round off the edges, they snag and catch. It doesn’t hurt but it does risk ‘lifting’ the free edge of the wrap. I lasted about a day with these on before I had to remove them. Perfect for a night out? Most definitely… but for longer wear? I’m out. * you get 24 wraps per pack (for people with 12 fingers obviously) so you can get two manicures from one pack. 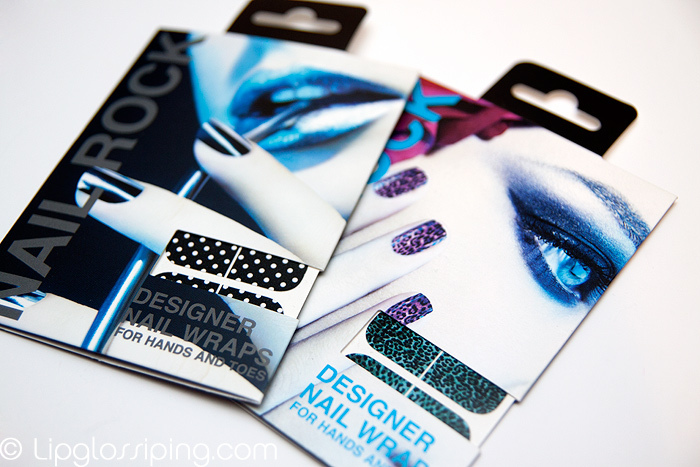 These are really pretty – I’ve got some Nail Rock wraps to try out, and I agree they do seem miles thicker than Minx etc. i have to say that it looks good, but i think it’s too much of a trouble to put it on. have you tried water decals? i think it’s a lot better than that because there won’t be any snagging or anything for it melts together with the top coat. Nail wraps always look amazing but the ones I’ve tried also peeled off really quickly. Have you tried Minx? Do you know how they compare? They look amazing! It’s such a shame about the wear… It’s what’s always put me off these. I got many of those nailwraps from a German drugstore brand for testing – I hate them. Though they are a lot cheaper than yours, it wouldn’t ‘hurt’ that much… they are about 1,90 Euro (2 GBP?) for one mani! They look amazing, but the ‘catching’ thing sounds so irritating! I’ve tried Nail Rock too and whilst I loved the effect they definitely didn’t stand up to the wear and tear I subject my nails too – but then i’m the kind of girl that chips a nail an hour after painting. Think these are definitely a ‘night out’ purchase! Isn’t it nice they have thought of people suffering from polydactylism?! I love polka dots and these look amazing, the disembodied hands freak me out a little though! I wouldn’t have the patience to apply these plus I am a picker/peeler so would have them off again in minutes! I have tried the Nail Rock in Black Lace on white, I totally agree with everything youhave said! I have 20 month old twin toddlers and they just are NOT practical! Look great though! I have got a different brand I have yet to try out! This… may be a completely retarded question, but can’t you just lock them down at the tip with clear polish?